ZAMTEL Managing Director Mupanga Mwanakatwe has formed a company together with Chief Technical Officer Sydney Mupeta and the two are now pressuring procurement department to award it contract to provide power services to the government owned Telecommunications Company. The services to be provided by the named company will include supplying diesel to over 300 base stations across the country. The deal will earn Mupanga and Mupeta at least a billion Kwacha per month. Mupanga has since instructed Zamtel’s Chief Financial Officer, who is also believed to be an interested party to ensure that the company gets single sourcing clearance from ZPPA. 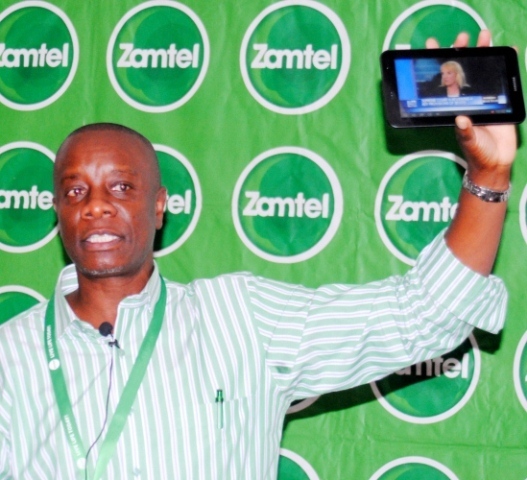 Recently Mupeta in collision with Senior Manager-Fixed Access Jason Mwanza terminated the contracts for Power Unit Manager Chomba and his engineers and technicians claiming Zamtel no longer required services of the unit. According to sources within Lamya House, Mwanza who has become the blue-eyed boy for Mupeta was asked to write the justification to dissolve the entire power unit and recommend for sourcing the services from private contractors. The source added that last year Chomba had offered to resign from his position but management convinced him to stay on as his job was critical to the company. “Why has management suddenly changed that they no longer need the services of the same unit which only months was said to be critical to the company,” the source queried. The power unit was in charge of powering all Zamtel equipment and utilities including Base Station dotted all over the country. Mupanga has a record of awarding contracts to his companies and firms owned by his associates and relatives. In November last year, without following procurement procedures, Mupanga influenced the booking of his small lodge called Eagles Rest in Siavonga for a Zamtel Strategic workshop. Mupanga’s guesthouse was paid millions of Kwacha for EXCO members accommodation and in inflated restaurant and bar bills. In another development, a Zamtel Engineer who sought anonymity has expressed worry at the incompetence of CTO Mupeta and his “chola boy” Jason Mwanza. The engineer disclosed that Mupeta together with Mwanza had recently terminated the contracts of engineers and technicians in Livingstone but within a few weeks they were forced to re-engage most of them as the staff that remained were unable to resolve fixed network fault. “They terminated contracts for most critical staff including for the Regional Engineer Ndiwa but remember, recently there was a huge fault to the network leading to Livingstone Airport, they did not have technicians to fix it so they had to recall most of people they declared redundancy,” the Engineer said.